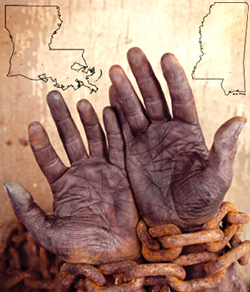 COLUMBIA, S.C. (FinalCall.com) - Nearly 150 years after Emancipation, trapped by extreme poverty, isolation, fear and shame, some Blacks remain victims of neo-slavery in rural areas of the South, locked into work in fields, factories and assorted industries. 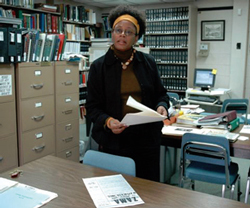 Antoinette Harrell in Attala County, Mississippi. 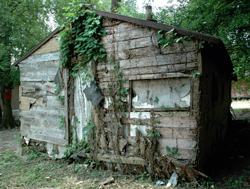 Photo of a cabin where workers lived in Webb, Mississippi. Photos: Walter C. Black Sr.